Description: This piece of artwork uses pages from the family law case rulings of Marriage of Davis (Cal. Supreme Court, June 20, 2015, Docket No. S215050), the California family law case that says that couples should not be living under the same roof if they are claiming to be separated. The pages are stained with coffee and painted with various levels of diluted calligraphy ink to achieve different gradient levels. 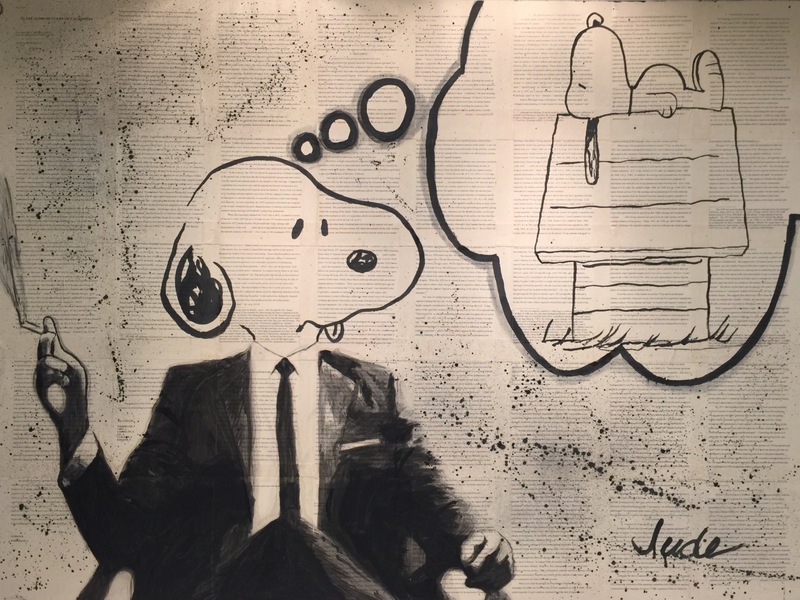 The piece satires and lampoons Snoopy thinking about being on his dog house.